Become so frustrated at home when you try and work with him? Seem so out of sync with the other kids in his class at school? Not achieve up to his potential? Why a smart, high-potential child might not be living up to expectations. Why a gifted learner does not have the coordination to play a sport well. Why your child does fine at home but struggles tremendously at school. Through our scientific, data-driven assessments we can unlock the puzzle of your child and explain the physiological reasons why your child, along with so many children today, are struggling needlessly. We have had many parents come to Minds-in-Motion who have been close to giving up after years of frustration. After learning WHY their child has been struggling, they find out HOW Minds-in-Motion can make a difference in their lives. For example, we see hundreds of students who are bright yet struggling in school—either in reading, writing, math, or in their behavior..
All of these visual skills are crucial for reading and for developing fundamental comprehension. Also tied into the reading equation is the student’s quality of auditory processing. Minds-in-Motion specifically deals with visual processing that is synchronized with auditory processing to allow for the highest level of reading abilities. Minds-in-Motion can help with all of these writing skills because our protocols increase visual-motor control organically and develop the ability to process thoughts to get ideas down on paper more proficiently. Every day we witness students who might excel in every other subject but struggle in math. How can this be? Minds-in-Motion understands that math concepts are all about “time and space”….counting, graphing, comparing, ordering, etc. The time and space mechanism of the brain is located in the inner ear (vestibular/balance system). Our NASA machine can actually measure how efficiently one is functioning in time and space. This can give parents an insight into why their smart child could struggle specifically in mathematical concepts. Minds-in-Motion has significantly helped increase mathematical processing in many students. Minds-in-Motion has seen student after student – who function well at home – but fall apart at school. At school, students need to multi-task – plus pay attention – plus deal with all the extra sensory inputs that happen in the classroom, from the buzzing of the overhead lights to the overload of visual stimuli. Students’ cognitive processing suffers and/or unruly behaviors develop due to their inability to process and screen all the sensory information flooding their brains. Minds-in-Motion protocols help rewire the brain’s sensory processing and unruly behaviors become under control and melt away. 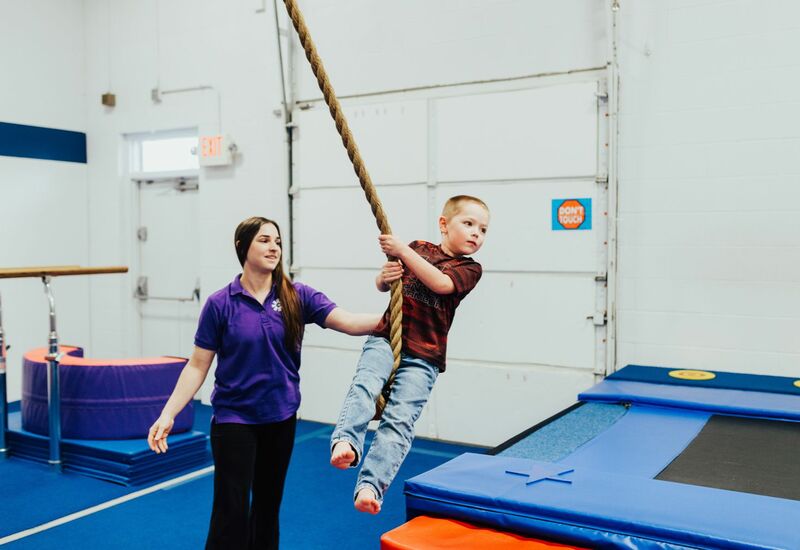 Attending a Parent Information Session is also a great way to tour our facility, meet our staff and learn first hand about the power of our program. We are here to make a difference in the life of your child. Unlocking potential and changing lives – not temporarily – but for a lifetime!